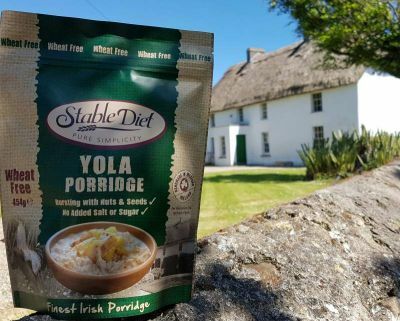 The most recent of our breakfast products, Yola Porridge is packed with nuts and seeds and brings a whole new dimension to healthy porridge. Packed in a handy 454g resealable foil pouch for freshness. Jumbo Oatflakes(total oat content 64%),Oatbran, Sunflower Seeds, Sesame Seeds, Coconut, Flaked Almonds, Chopped Walnuts. Contains: Oats, Nuts, Sesame Seeds. Warning: Small pieces of nut shells may occur naturally. To keep fresh, replace lid and store in a cool, dry place.